The DAT general chemistry section expects you to be fluent in chemical compounds. For example, do you know the formula for chromate? 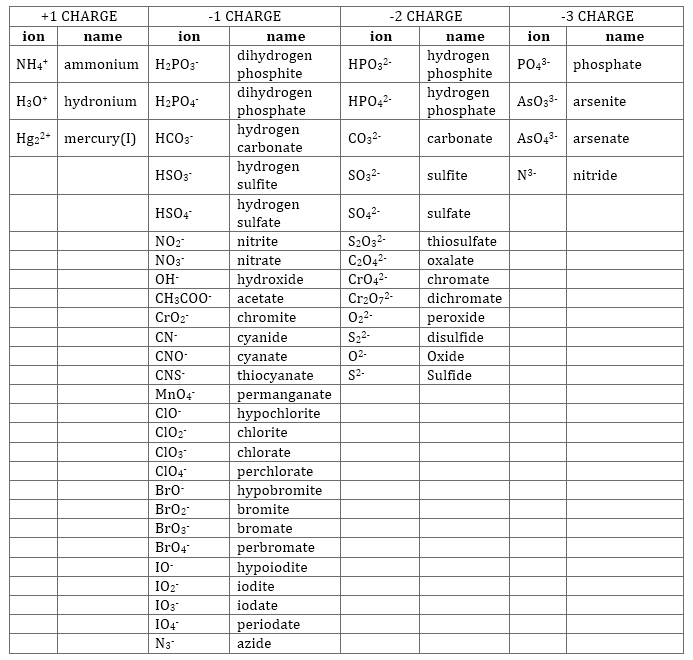 Below is a selected list of common ions you should know for the DAT (click for full image). * Also, a common mistake I see is people thinking helium is a diatomic molecule (He2). The formula for helium gas is just He. Helium is a noble gas and already has a full shell, so it is very unreactive. Click the button below to download the Anki flash card deck of the common ions. You’ll need Anki to open and view the flash cards.